Baby carriers and baby strollers are customary gear for parents of young children. Carriers and strollers are intended to help keep children safe and to help make families more mobile. Unfortunately, sometimes these devices that are meant to protect young children can actually result in them getting hurt. When an infant or young child is injured as a result of an accident in a carrier or in a stroller, it becomes important to determine why the incident happened and who was to blame. In some circumstances, the infant's injuries are the result of an unpreventable accident. In most situations, however, the problem stems from a poor product design, an absence of important safety features, a product defect, or a failure to warn parents of the risks of using the product. 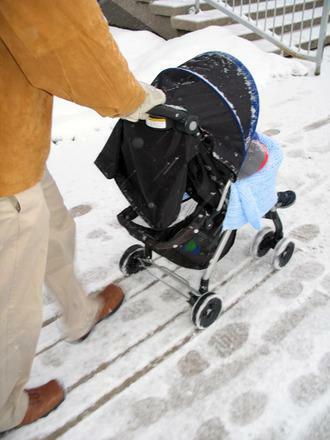 The dangers of strollers and baby carriers were discussed recently in an article from Live Science. According to the article which was focused on recent research, around two children throughout the United States visit an emergency room every single hour as a result of getting injured in other a stroller or an infant carrier. This means thousands of children are suffering harm in their strollers and carriers each year. In fact, between 1990 and 2010, more than 360,000 children aged five and under had to go to the emergency room following injuries sustained in their carrier or stroller. Soft tissue injuries and injuries to the musculoskeletal system were among the common reasons for the more than 17,000 children admitted to hospitals each year. Unfortunately, another big reason for visits to the ER was traumatic brain injuries, including concussions. Traumatic brain injuries can be devastating even for developed adults, as a blow to the head can have far-reaching and long lasting consequences. When the damage is to a young child under the age of five, the long-term consequences of a traumatic brain injury can be extremely damaging. The full extent of the lifelong brain changes which could result from a serious brain injury as an infant is not yet completely understood. Many of the children who get hurt in their strollers or their carriers are harmed because the stroller or carrier tips over. Some infants and young children will fall out of their strollers. Determining why this happens becomes very important. Stroller and carrier manufacturers must make certain that their product is safe and must provide adequate warning to parents of any risks associated with product use. Both product defects and failure to warn can result in a successful personal injury claim against the manufacturer of a carrier or a stroller.